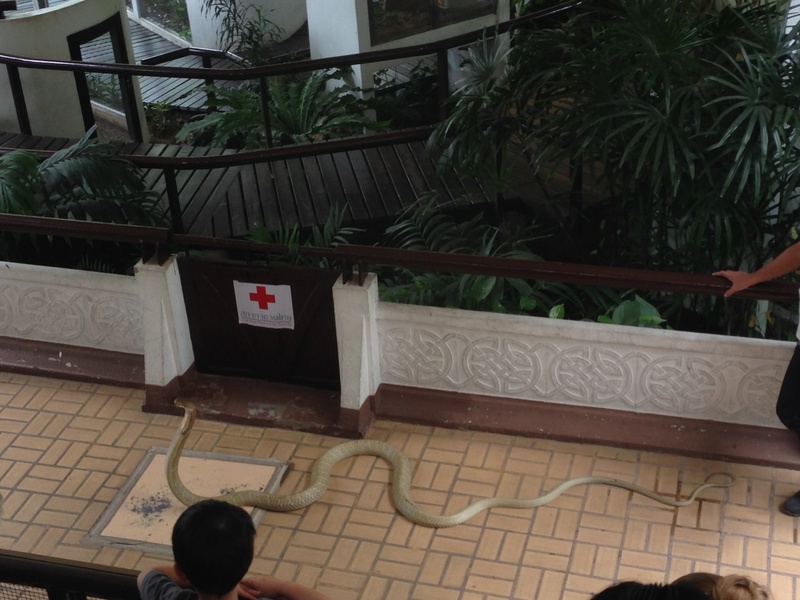 Queen Saovabha Memorial Institute and Snake Farm in Bangkok (1871 Rama IV Road) is the second snake farm in the world after the Instituto Butantan in Brazil. 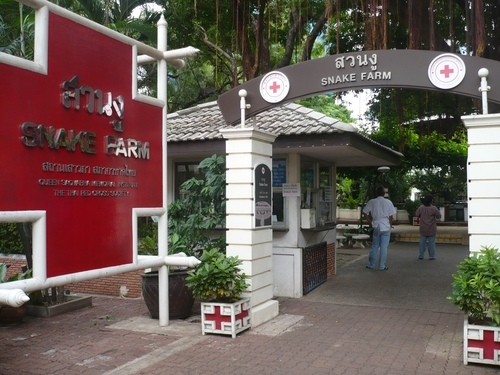 Bangkok Snake Farm was established at the Queen Saovabha Memorial Institute (QSMI) and was inaugurated on November 22, 1923, by Queen Sawang Vadhana, then President of the Thai Red Cross Society1. 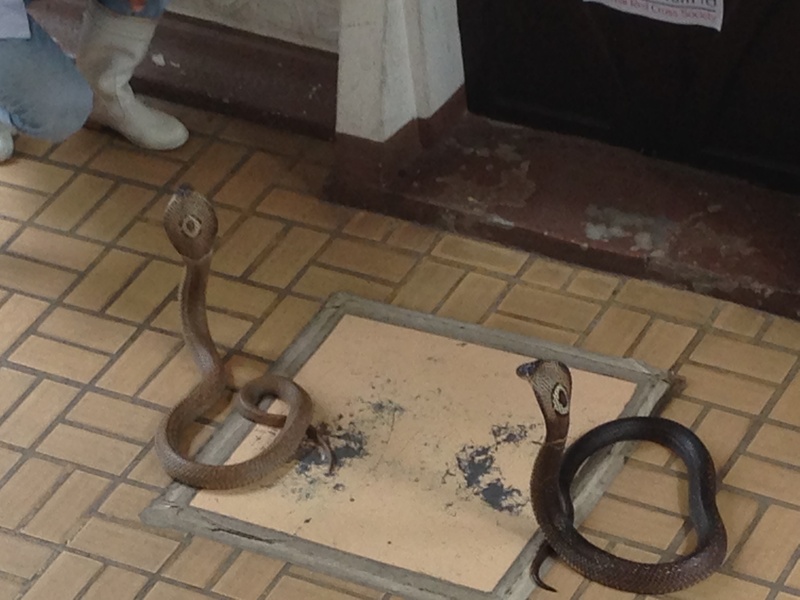 Thailand is home of more than 190 varieties of snakes of which 61 are venomous. Imported antivenoms are not effective in neutralizing Thai snake venoms necessitating the establishment of a local production facility that utilizes the venom of snakes from this region for making antivenoms. Dr. Leopold Roberts and the Institut Pasteur in Paris helped the Thai Monarch to develop this facility2. 1. Retrieved and adapted from the Institute's information leaflet. More informations at the Institute's official website. 2. Retrieved and adapted from the Institute's information leaflet.